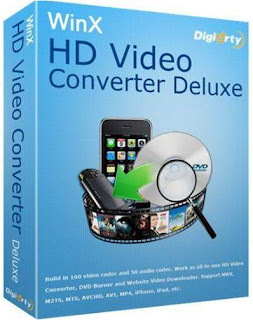 This program offers absolutely friendly interface to novice who can use the default setting to convert video with only a few clicks. Advanced users are also allowed to customize output videos by adjusting related parameters. Supporting Multi-CPU and Hyper Threading, WinX HD Video Converter Deluxe offers up to 5x - 15x real time video converting speed.